With all of the advantages that solar energy brings to the table, it is hard to imagine that more Texas residents haven't taken advantage of it. Sunshine, after all, is one thing that the state has in abundance. Some may be hesitant to implement solar of the perceived difficulty and expense associated with getting it all set up. While this may seem to be a potential barrier, there are too many benefits to pass it up. Keep reading to learn how to use solar energy to your advantage in Texas. #1 Are Solar Panels Worth it in Texas? * Note that these are estimated values for informational purposes only, and do not take into account the full complexity of all financial projections. They also only apply to cash purchases, which means your numbers will be different if you lease your system or pay for it with a loan (factoring in interest). Also note that we are not financial advisors, so this information should not be construed as financial advice. While the Texas state government has not fully jumped on the solar power bandwagon, there are more than enough reasons to justify buying solar panels in Texas. In fact, the state has recently begun to make tremendous strides towards increasing its solar capacity in recent years. This should not be difficult to do since most parts of the state enjoy more than 300 days of sunshine every year! While there are many different financing options available for getting solar energy up and running in your home, there are three that are most commonly used throughout the state (and country) today. The average 5-kW solar system currently runs about $16,000 in Texas. While that is still cheaper than solar equipment has ever cost before, it is still a huge chunk of money for many people. Remember, though, that the costs during your first year will be much less than that when taking into consideration the federal tax credit and the reduced energy costs that you will enjoy. While your initial cash outlay will seem to be $16,000, the tax credit will amount to nearly $4,900. It is estimated that you will save about $840 off of your energy bill that first year, which further brings your cost down to $10,160. This means that you just received a nearly 35 percent discount off the cost of your system, and you retain ownership of the system from day one as well. The savings on electricity will continue to pile up year after year to the point that the entire system will be paid for about year 12. The typical solar system lasts for about 25 years, so you will enjoy the use of the system virtually expense free for more than another decade. By the time the warranty expires, you will have now amassed more than a total of $13,000 in savings. Bottom Line: Purchasing your solar system also carries the added bonus of increasing the value of your home as well. Texas also has placed a tax exemption on the portion of your home that is valued because of solar, so that amount will not be subject to any tax whatsoever. You also have the option to enter into a solar lease. This is a type of third party ownership available across Texas where the installation company retains ownership of the system. A company will gladly install the panels for you, in exchange for receiving lease payments over the life of the system. This costs you nothing, and it will give you immediate savings on your energy bill. Leasing is a great way to jump on the solar bandwagon in Texas if you don’t have loads of cash sitting around to install your own system. This is also a good possibility for new homeowners that might not yet have sufficient equity in their home to qualify for the HELOC option. A lease gives you the same great system that a purchase option provides, but with $0 out of pocket expense. Couple that with the fact that you will enjoy noticeable savings on a monthly basis for the next 20 years or more, and this seems like a no-brainer. The average fixed payments on a leased solar system in Texas providing 5-kW of energy averages $650 per year. The panels will actually save you about $842 in energy costs every year, so you will realize a net gain of $192 in the first year. While these savings may not sound very big, they will increase over time in Texas. Utility company will continue to raise their rates, but your leasing costs would increase by a smaller amount. This will amount to increased savings over time. 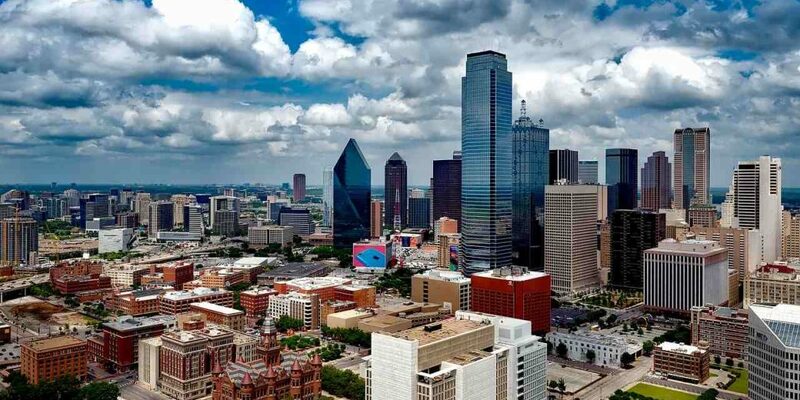 The latest estimates are that the average Texas homeowner will save roughly $7,200 over the course of a 20-year lease. One other benefit is that the installation company will be responsible for all maintenance costs, so you will not have to worry about any out of pocket expenses. These estimates provide you with a good picture as to the benefits and advantages of leasing. While the average electric bill before solar is approaching nearly $2,000 that will be lowered by almost one thousand dollars. A Power Purchasing Agreement is just slightly different than a lease. Your roof will still be used as the host for the solar system, but you will not be making monthly payments. Instead, you will only pay for the energy that the system generates, which will be at a cost that is much lower than you have been paying for your traditional energy use. Bottom Line: With either option, a PPA or a lease, the installation company will retain ownership on all of the panels, and will clean and maintain them. If any part of the system were to fail, they are on the hook for the repairs, not you. You might now be sitting in front of your computer thinking that you would love to purchase your own solar panel system, but you simply cannot afford the $15K+ cash payment that you would need to come up with. If you have some equity built up in your home, you can initiate the cash purchase option with a home equity line of credit. Banks love to provide the money for this type of loan because it actually increases the equity in your home as a natural byproduct. This will give you low interest access to a solar system that you own, while also allowing you to take the tax credits immediately. 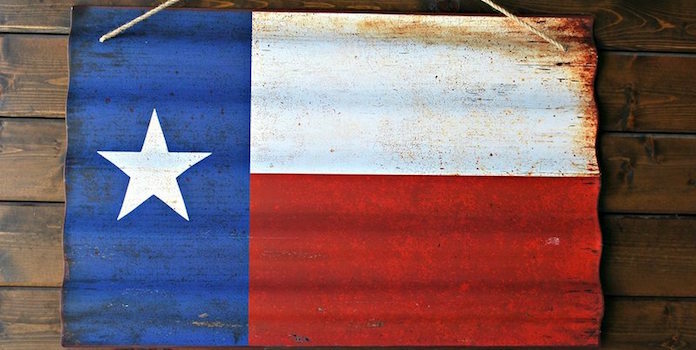 Texas has made it possible to use a loan to pay for your solar energy system. This makes it akin to investing in a business that simply cannot fail, particularly given the reality that Texas will always have sunshine. In the first year, you can save thousands of dollars, and that profit will only increase over the average 25-year life span on the system itself. This works to your advantage to such a large degree because you will be making small monthly payments now, but will also be taking the tax credits to the bank immediately. The savings on the energy alone will amount to roughly 50 percent of the loan payments, so that is a winning formula indeed! A typical solar system in Texas is based on 5-kW and will cost roughly $16,250. This is the size of the loan you will need to qualify for if purchasing your unit in this manner. Let’s say you take out a 15 year with 5% interest to pay for your installation. You should realize an average of $842 in electricity savings during the first year of operation, but your loan payments will amount to roughly $1,500. This amounts to about $700 of out of pocket expense during your first year, but keep reading to learn why this is such a great deal. The tax breaks can be huge and make all the difference. Forget the fact that Texas hasn’t really jumped on the bandwagon in this regard, as the federal government is willing to dish out 30 percent of the total cost of your solar system, given to you as an income tax credit. For the average Texan, this tax break alone will put nearly $4,900 in your pocket. Go ahead and subtract the amount that you pay in number 2 above from the amount that you gain in number 3. Use a calculator if you must, or just let us tell you: You will come out nearly $4,200 ahead after only the first year. It only gets better from there as the cost of traditional electricity in Texas rises in the future, but your loan payments remain the same. Now, remember that your loan will be paid off in 15 years. After that, the savings will only increase. You will realize a yearly savings of about $1,400 at that point, so after 25 years of owning your unit, you will have realized a net profit of over $6,789. That’s not bad considering you put $0 down on this investment. Bottom Line: In the long run by purchasing a solar system through a loan you will definitely have a winning deal. With Texas currently operating under a deregulated energy marketplace system, it is often difficult to pinpoint the exact potential that solar energy brings to the table. It depends on the area of the state that you live in. There are some regions, for example, that provide residents with up to twenty-four different energy companies to choose from. This provides a competitive situation that has consistently reduced the average cost of energy over time. There are some cities that might offer you a great per kilowatt-hour price for your energy, such as in Dallas, but then there are Austin and San Antonio that will offer you significant tax rebates when choosing to go solar. All of this highlights the importance of doing your homework, as this could help you to make even more money in the long run as you take advantage of the current energy structure and policies in place throughout the state of Texas. Every state has various policies either promoting or minimizing the implementation of solar energy. Because of that, it is helpful to better understand the current state of affairs regarding solar policy in Texas. Let’s begin by looking at the Renewable Portfolio Standard. Simply put, this is the requirement that each state must work towards sourcing a certain percentage of their available electricity from sources that are clean and renewable. In most states, the Renewable Portfolio Standard is meant to set a target that is reflective of the percentage of total energy generation that comes from renewable sources. However, Texas has opted to measure this in terms of the amounts of electricity actually produced in megawatts. The passing of the Renewable Portfolio Standard in Texas dates back to its passing in 1999. The target set at that time amounted to 2,000 megawatts of produced energy coming from renewable sources like solar panels. This amount was increased by the state legislature in 2005 to 5,880 MW being targeted by the year 2015. A voluntary goal was to increase this capacity to 10,000 MW by the year 2025. Solar energy is not the only renewable energy source competing for attention in Texas, as wind power has become extremely profitable. Because of the focus on wind energy, Texas actually surpassed its RPS target of 10,000 MW by 2025 in 2009. The current figure is that the state currently has a total wind capacity of 15,635 MW, without even taking into account the amount of solar energy now being produced in the state. Even with the amount of wind power being generated in Texas, it still only accounts for roughly 10.6% of the total electricity that is created in the state. Texas currently leads the nation in terms of total energy consumption, which further highlights the need to develop more sources of renewable energy. In fact, Texas is the fifth largest consumer of electricity per capita in the country, which also demonstrates the importance of the solar energy movement. The target set by Texas, even though it has long since been exceeded, is far too low for a state of its size. Other high population states such as New York and California have already set far loftier RPS targets of up to 33 percent. Hawaii has even begun initiating talks of reaching 100 percent by the 2050. The policy currently in place in Texas does not create an incentive for utility companies to help you produce your own power. From a business standpoint, this is understandable seeing as how that would cost them revenue in the end. They are also not willing to provide you a lot of money for the excess energy that you provide and pump back into the grid. The only reason the utility companies are willing to help you lower your electric bills and provide you with some incentives to go solar is because Texas policy forces them to do so. Failing to meet their own state mandated RPS number would cost them a lot in financial penalties. Where does that leave you? Keep reading to find out. No matter how you slice it; you will have to pay something for your electricity consumption. Depending on where you live in the state, you will pay, on average, 12 cents for every kilowatt-hour of energy that you consume. Your actual rate might be more or less because Texas offers a deregulated market. The more choices that are located in your area, the lower that actual rate offered to you is likely to be. This average of 12 cents is slightly less than the national average. Because much of this energy is produced by dirty fossil fuels, many argue that the price is far too low. They may be right, given the huge environmental burden that our hunger for dirty energy has produced, but that is precisely why you are likely considering the transition to solar energy. 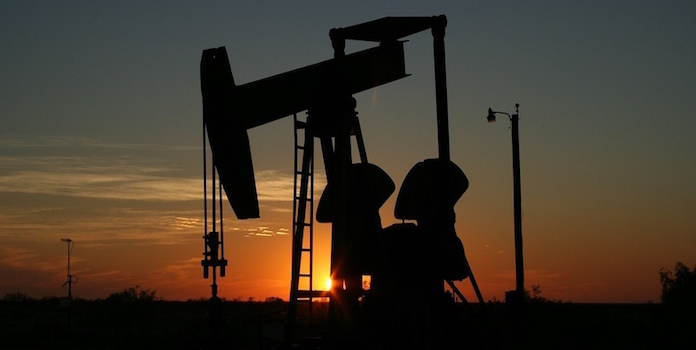 No matter what, energy prices will continue to rise. This trend will likely continue for the foreseeable future, which is yet another reason to switch to solar energy and enjoy the fixed prices that it will bring you in the future. Something else to consider within your decision making process is the concept of net metering. This is the component of the process that enables you to sell the leftover solar energy produced by your unit back to the utility company at the same price that they sell it to you. Unfortunately, the current policies related to this in Texas are not very favorable. In fact, Texas does not currently have any net metering laws to speak of. Such a policy would require your utility to actively monitor your energy use by way of the solar panels you have installed. They would match this against how much energy you consume, and then they would issue you a credit for the excess. Not likely to happen statewide, a few regional municipalities have begun to implement their own net metering laws to fill in the gaps. Seeing the value in this policy, more cities are beginning to also consider the implementation of their own net metering laws. If you live outside the four cities just mentioned, keep checking back for any policy updates that your city might adopt in the future. In these areas, net metering is now available to solar power systems in operation in a residential home. Any surplus energy that is created is to be credited to future bills at an avoided-cost rate. This is yet another advantage of going solar in Texas. Another component of this discussion is related to interconnection policies. These are the rules that determine how an owner of a solar system can actually plug in their system to the power grid in order to send energy to the utility companies in their area. If the system were up to date and relatively simple, then the rules would become more straightforward. As you might suspect, Texas is not a winner in this area either, but that does not preclude solar energy system owners from finding suitable workarounds. Much of the state of Texas does not currently actively monitor the situation to make sure residential homeowners can have their energy consumption monitored to check for any potential excess. The good news is that Texas has recently implemented some policies and procedures that are meant to provide solar panel owners a way to more easily get connected to the power grid in their area. We can say with full confidence that Texas is a great place to go solar as long as you’re thinking long term, the financial and environmental benefits simply cannot be matched with traditional forms of energy. Unfortunately, Texas currently has a minimal Renewables Portfolio Standard, allows for no solar energy tax credits, and does not have any statewide rebates to offer residents who decide to go solar. Don’t despair if you don’t live in one of these major population centers, as the benefits of solar energy in Texas still apply to you. Texas currently offers the 13th best solar rebate potential in the country. That’s not bad all. While you are in this to save the environment, it is always nice to save as much money as possible while doing it. Rebates come in various forms, such as helping to reduce the initial cash outlay required to go solar, or by providing actual one-time payments to residential homeowners that are issued after installation is complete. Check with your local municipality to determine what you might qualify for and how to put it to use. While many people are concerned about the state of the environment, most also have financial constraints that factor into any purchasing decision that they make. This is why it is helpful to consider the return on your investment when choosing to go solar. If you’re only going to be in the state for a year, it obviously won’t pay off. But since most people considering solar are in this for the long-haul, let’s consider what will happen if you use solar power for twenty-five years. Depending on which option you go with, solar energy will begin to pay off financially in either the first few years with a lease, or after about ten years with a purchase. The bottom line is that you stand to save and even make quite a bit of money in Texas in the long run. Even given low electricity prices in Texas, however, the state cannot compete with free and abundant sunshine. And if you are fortunate to live in a part of the state that offers state and federal tax credits, the savings that you encounter will be even greater. The state of Texas offers a property tax exemption for the additional value a solar installation adds to your property. So for example, let’s say you install a $30,000 solar system on your beautiful $150,000 home, you’d still only pay property taxes for $150,000! Want to take advantage of the rebates and tax credits and start producing your own clean renewable energy? Talk to a few installers and get a few quotes to compare savings and costs. Once your installation is complete enjoy your new green electricity and visit our blog for more interesting articles about electric cars, batteries and even solar lights! If you’d like to dig even more on local incentives and rebates, check out the DSIRE database. Solar energy has numerous advantages, and virtually no disadvantages. You do not even have to put up any money to get started on path to renewable and clean energy, as leases do all of the work for you. If you want to have your unit, purchase one. You might pay a lump sum up front, but you will get all of that back and more before it is all said and done. Texas will always have plenty of sun, and you will always have more than enough energy as a result.